This stunning 3-story home exudes elegance and screams sophistication from the moment you enter. The grand Entry Foyer is bright and open, leading you into the large formal Dining/Living Room combo with 10’ ceilings, wood burning fireplace and bar. The immaculate custom eat-in Kitchen offers a perfect sprawling space for home cooked meals with family and friends. Step out back to enjoy a relaxing evening on your secluded deck in your decorative backyard. Upstairs you can have a drink at the wet-bar or warm up by the fireplace in the 2nd Story, 2-story Great Room! Enjoy the openness of the second floor with custom millwork, decorative columns, palladian windows, skylights and loft. The ample Master Suite brings a touch of class to the bedroom while the Master Bath with Jacuzzi Tub offers a luxurious retreat. The 3rd Floor boasts two more spacious bedrooms separated by a balcony overlooking the Great Room and a large marble full bathroom. 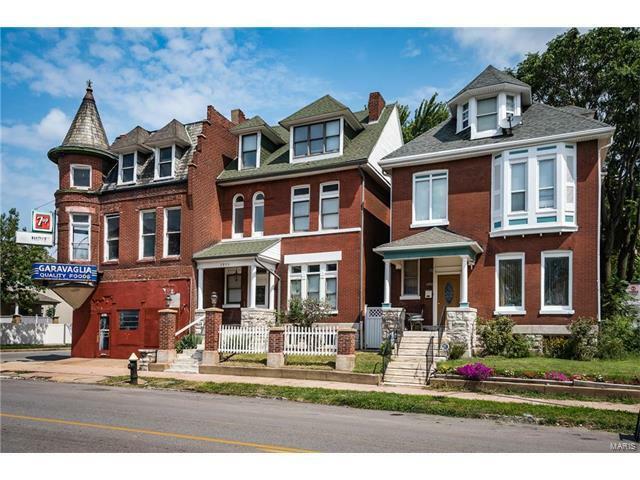 This St. Louis City home is just waiting for you!